As you walk through downtown and pass by the many Gatlinburg hotels on the strip, you will notice fall decorations popping up. The calendar may still point to summer, but folks in our mountain resort like to stay ahead of the game. Also, just so you know, fall is rather short around here. We get a few weeks of mild temperatures in the lower 60s and then boom! It's 47F. We reach for a cup of hot cocoa and a scarf. That's the mountain air for you. 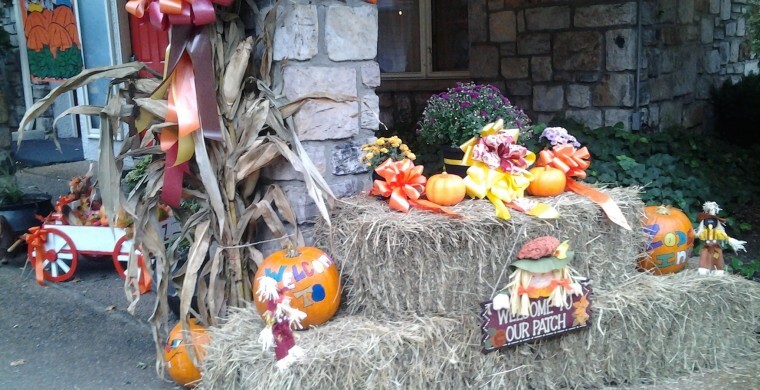 Gatlinburg TN hotels enjoy a friendly competition regarding curb appeal, so the Chamber of Commerce actually awards prizes for best fall decorations, for instance. We are proud that Zoders Gatlinburg has won several first prizes for our décor over the years. We will put pictures of this year's fall decorating on our Facebook page. Your job? Get here to see them in person.